Both state law (Law regulating the Basis of the Local Government, Law 2/85 on Civil Protection) and autonomous law (Law 9/2002 on Civil Protection and Emergencies of the Valencian Community) place the obligation to provide citizens with Civil Protection on the Administration. The Civil Protection system aims to create response mechanisms to natural or technological phenomena which, when out of control, can cause massive damage to society. At the same time, citizens appeal for more prevention mechanisms to avoid cultural, sports or leisure events leading to serious accidents. All actions aimed at discovering the risks which affect the population of the municipality, including planning the coordinated response of the emergency services, taking preventive measures to avoid damages to vulnerable elements, and if produced, to reduce them through joint intervention of all operative media necessary and finally, restoring damaged property in order to return to normality, are all duties of this area. 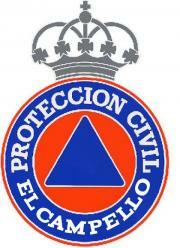 But all of this is carried out with the support of the entire population, whose right to self-protection and regular collaboration with authorities is channelled through the LOCAL CIVIL PROTECTION VOLUNTEERS’ GROUP, a fundamental tool for the development of a Preventive Culture within the municipality. For this reason WE ARE ALL CIVIL PROTECTION. Coordinator: Jose Maria Lledo Perez. Entrega del Desfibrilador Semi Automático y de ka nueva dotación material a los miembros de Protección Civil. El Ayuntamiento de El Campello adquiere un Desfibrilador Semiautomático para Protección Civil. La concejalía de Protección Civil, de la que es titular el Alcalde Benjamí Soler, ha dotado al cuerpo de Protección Civil de un Desfibrilador Semiautomático (DESA). Este Defibrilador acompañará al cuerpo de Protección Civil en todas las actividades a las que acudan como personal de apoyo a las Fuerzas de Seguridad Municipales o de los Servicios Médicos presentes en el evento.